I always love seeing the flutter of activity that occurs when it’s time to celebrate occupational therapy! Let’s be real: the holistic lens that OTs bring to healthcare is desperately needed—and that’s why it’s always worth shouting occupational therapy’s benefits from the roof tops. 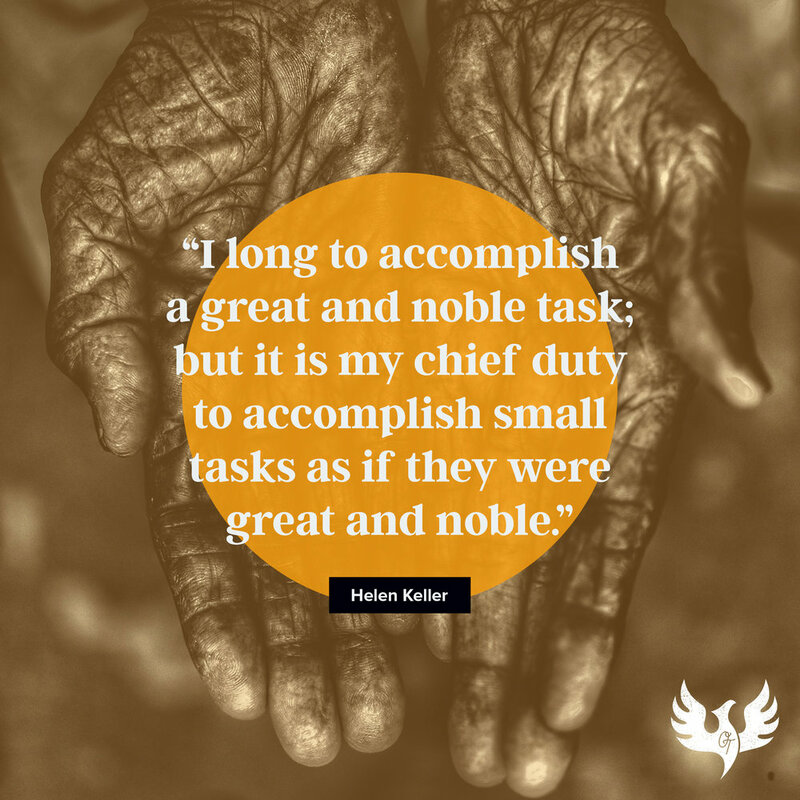 Our profession’s excellence aside, our clients’ own accomplishments are nothing short of miraculous—and these achievements also deserve to be celebrated. I’ve put together 11 ideas below, and you can use them as inspiration to celebrate OT Month in the ways that matter to you most. 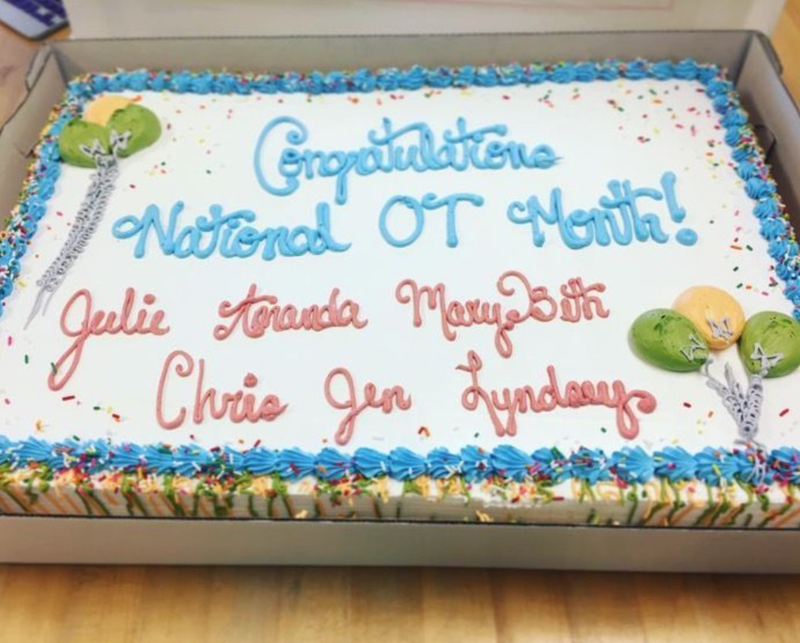 Whether you look at it as a time of reflection, a time for fostering collaboration with colleagues, or a time to celebrate our clients’ progress, there’s simply no excuse not to celebrate OT Month! Wait? When, exactly, is OT Month? For OTs in the United States, OT Month occurs during April. But, OT celebrations take place throughout the year around the globe. If I am missing the celebration in your country or region, please let me me know! 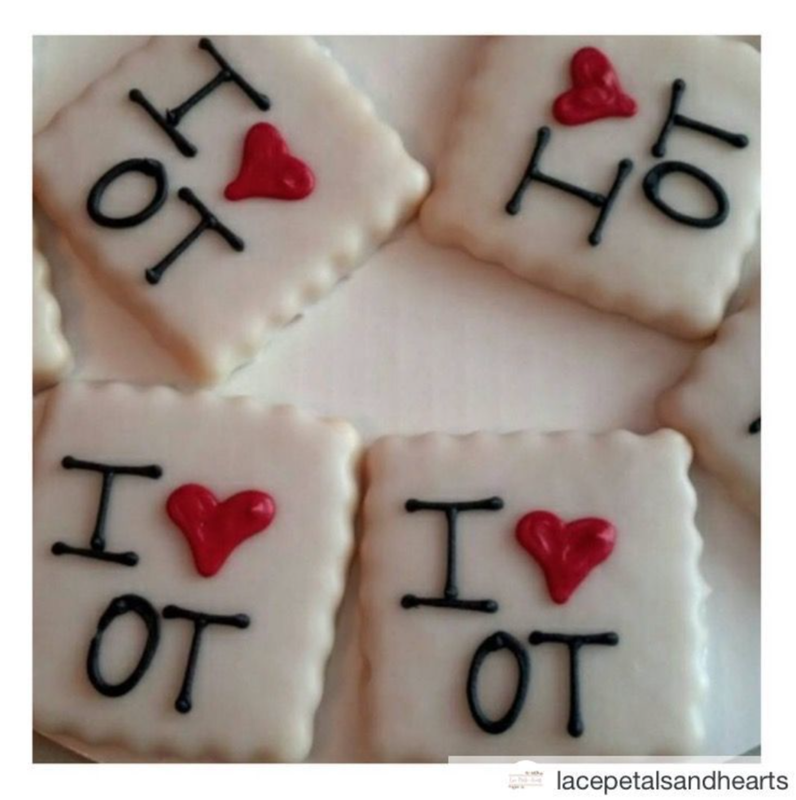 11 ideas for celebrating OT! 1.) Spread the word about what we do!! 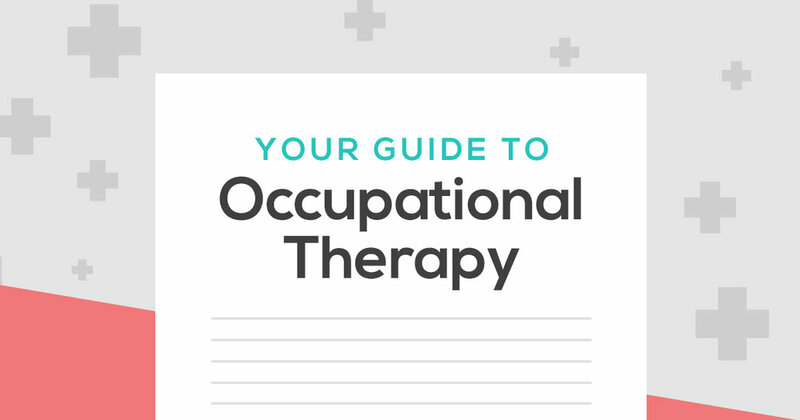 The “What is OT?” Guide was crafted specifically with clients and prospective OTs in mind! It is an overarching resource for people who are curious about who we are, what we do, how we’re educated, the scope of our profession, and the rationale behind our interventions. This short video was created to help illustrate the how, the what, and the why of occupational therapy. Feel free to share it with your friends, family, and even patients! OT Month is a great time to share inspiration with clients and fellow colleagues! 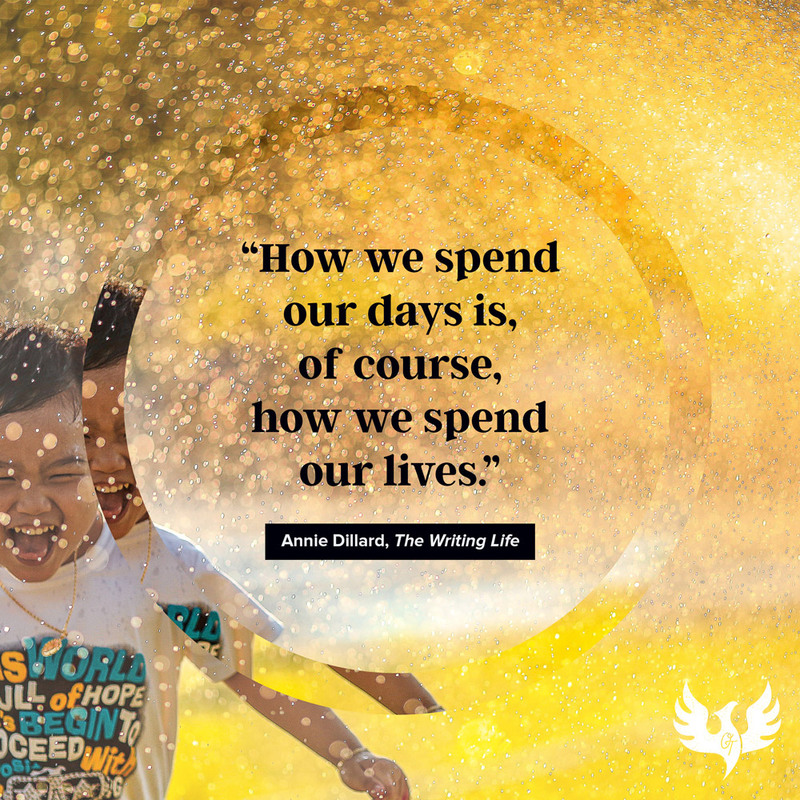 These quotes were formatted for use on Instagram—feel free to share them! I am a big believer in the value of taking time to learn from history. Set time aside this month to learn more about our profession. 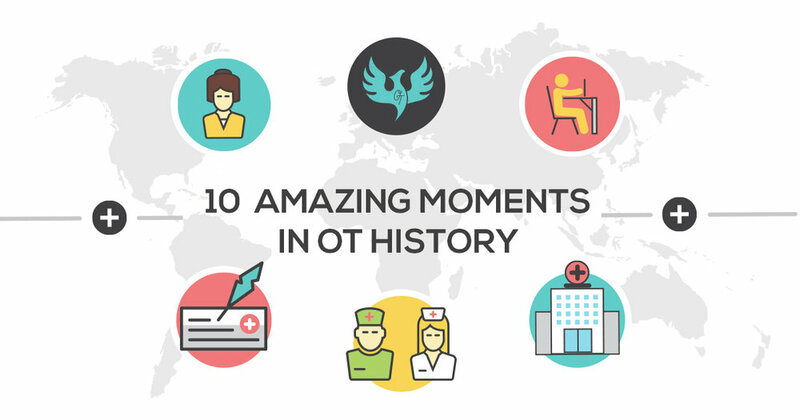 If you need a starting point, here are 10 of my favorite moments from OT history! I’m sure you can think of at least one coworker who contributes to your ability to provide occupational therapy services. It could be another OT practitioner, a tech, someone from the front or back office, or even a stranger who smiles at you in the halls each day. 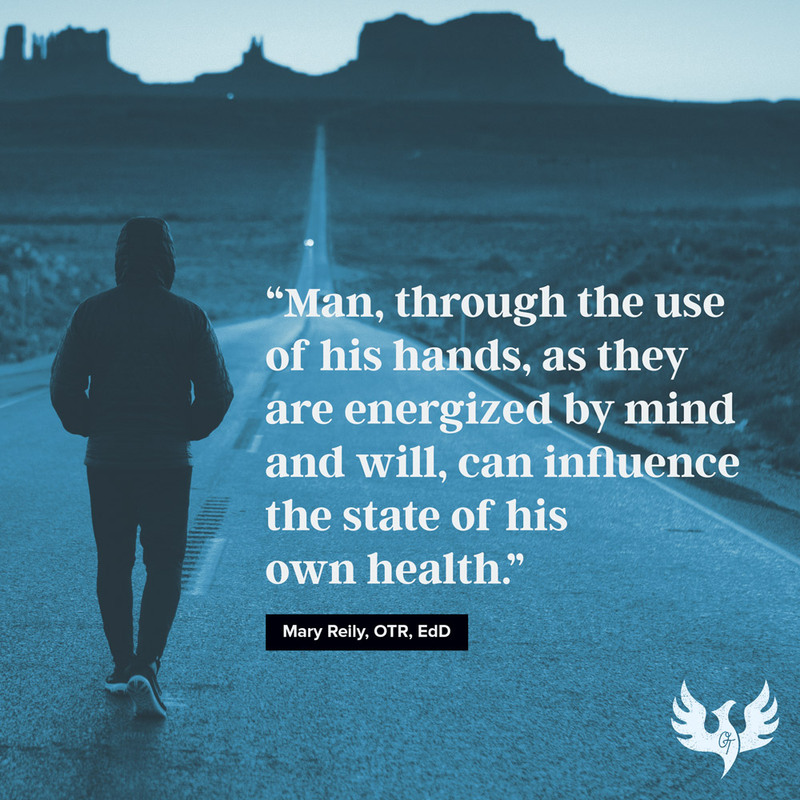 However that person brings light into your practice, OT Month is a wonderful time to thank him or her (or them) with a brief note of gratitude. I once worked under a general practice doctor; each New Year's Eve, he would sit down and write out the names of the patients he had lost during that year. Is this also a beautiful tribute to human life? While we do not deal with this type of loss as frequently in the therapy setting, we occasionally have patients in our care who do pass away. We also see patients whose conditions dramatically worsen, as well as those whose circumstances pull heavily on our heartstrings. OT Month provides the perfect excuse to take a few moments to honor the patients who have touched our lives. We can learn so much from them. What have you learned both as a therapist, and as a human being, from working with these patients? I’m not usually one to journal, but on April 1st, I am going to start listing some of the patients who have touched my life during the past year. Keeping New Year’s goals is challenging enough! That’s why combining your personal goals and your professional goals can inadvertently set you up for failure. 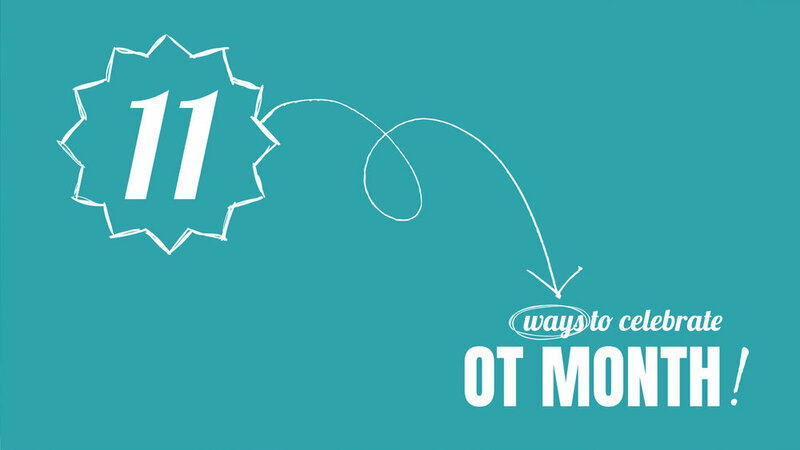 Consider making it a habit to set patient-related goals at the start of OT Month each year. What are three measurable goals you that you could set to provide more value to your clients? You can also use OT Month as a time to look at your profession from your own holistic lens. You can set short-term goals and long-term goals, and make achievable milestones that provide you with agency over your own career path! Perhaps you would like to earn a new OT certification or start your own OT business? I have been lucky enough to work with some really fantastic teams over the years. Something I have noticed is that the most dynamic teams had a habit of getting together outside of work. Hosting a get-together could be as simple as picking a time and restaurant where you meet with other OTs for a quick happy hour. You could also consider having coworkers over for dinner or brunch. It’s tempting to go crazy with creative crafting ideas to bring out the best in your OT friends––but, really, no agenda is necessary. Simply create a space to relax and enjoy each others’ company without the pressure of productivity! If you are looking for some inspiration in this area, check out the PT Pub Night website! There’s a reason why people go crazy with decorations during Christmas and Halloween. The right decor can truly warm up a room and bring a smile to everyone’s face. Why not do that for your workspace to honor OT Month? Whether you are looking at permanent decorations, or you just want to take five minutes to draw on a white board, any environment can benefit from some OT-related cheer! If you are looking for some items to decorate your doors (or use as handouts), check out the OT Month Toolkit in our OT Marketplace. We had a a ton of fun creating these designs to help brighten your space! Let’s be honest, snacks are probably one of the best ways to draw people in to your wonderful OT space. 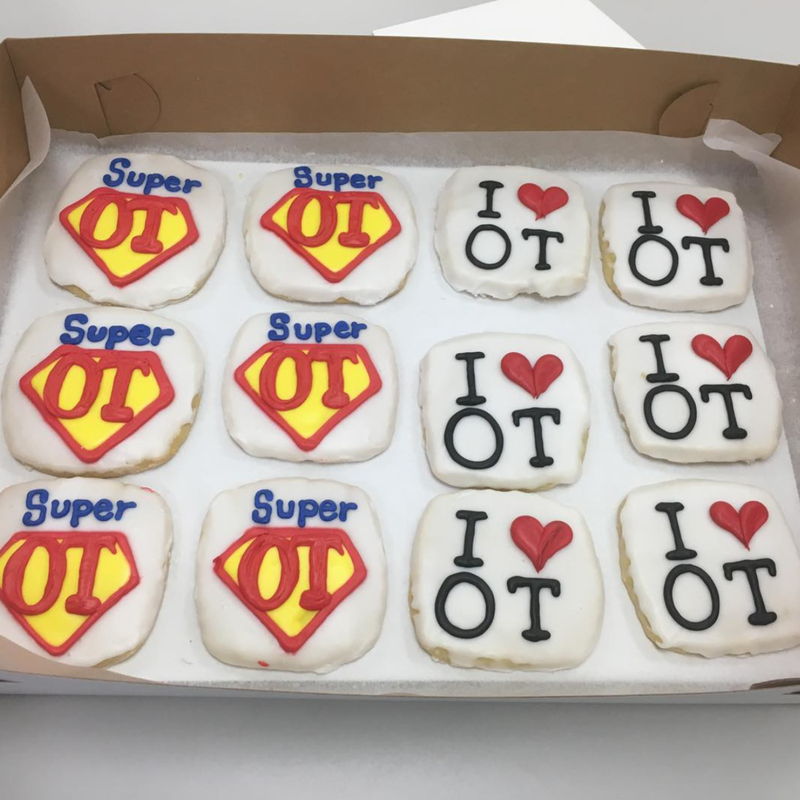 Invite your colleagues to stop by during lunch (or on a specific afternoon), share some yummy OT treats with them, and take advantage of a captive audience! You can make their stomachs happy while you distribute information about your occupational therapy offerings! It's funny how rarely I actually see the doctors who approve my plans of care and send referrals. I've only done a Lunch and Learn once for the doctors at my clinic, but one of the main benefits was simply connecting in person. My presentation had about six slides––and it focused on services we offered, but were underutilized. I noticed an instant uptick in referrals after this.